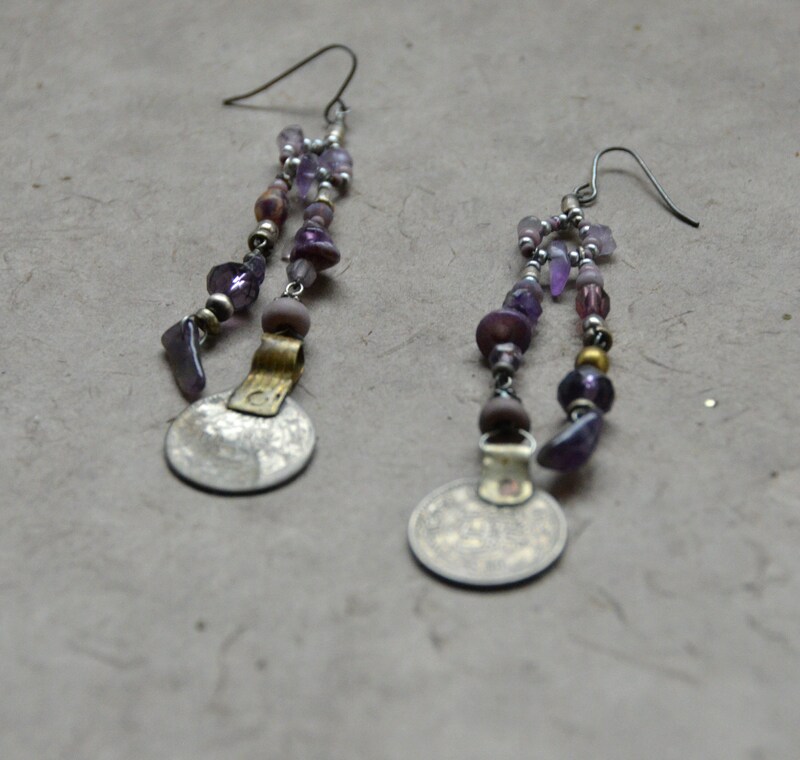 The "Free Spirit" Earrings, Chakra 7 Created by Kristen Wilson for Tribal Haus. These represent the Free Spirit within us all. 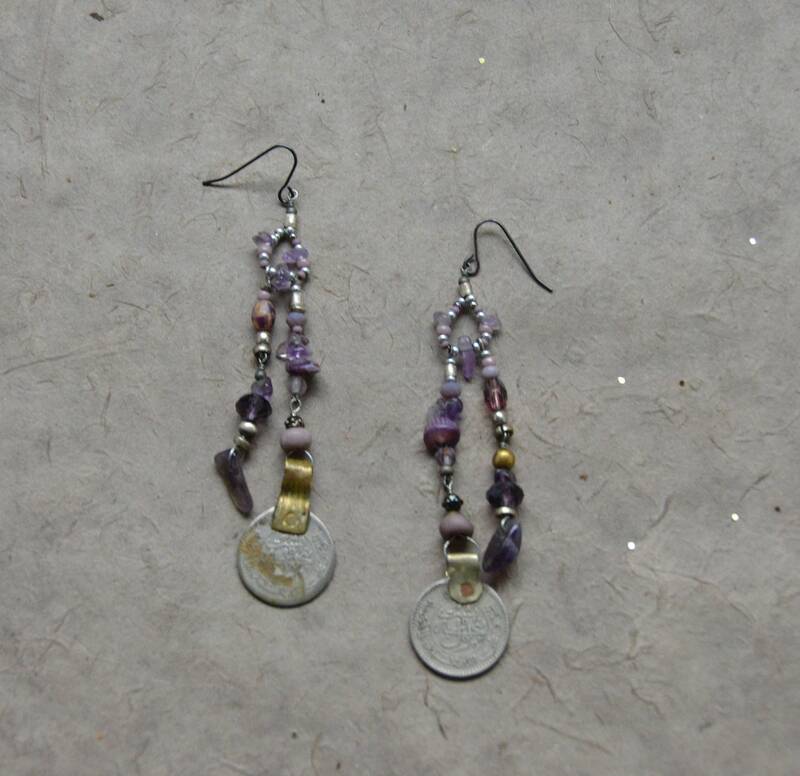 The beads used are amethyst, shell, glass. 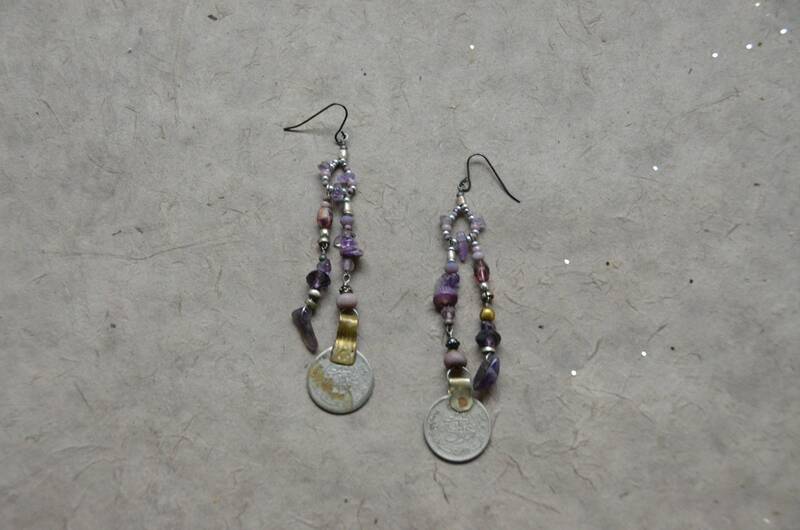 two Kuchi coins, and tiny ethiopian silver tube beads. 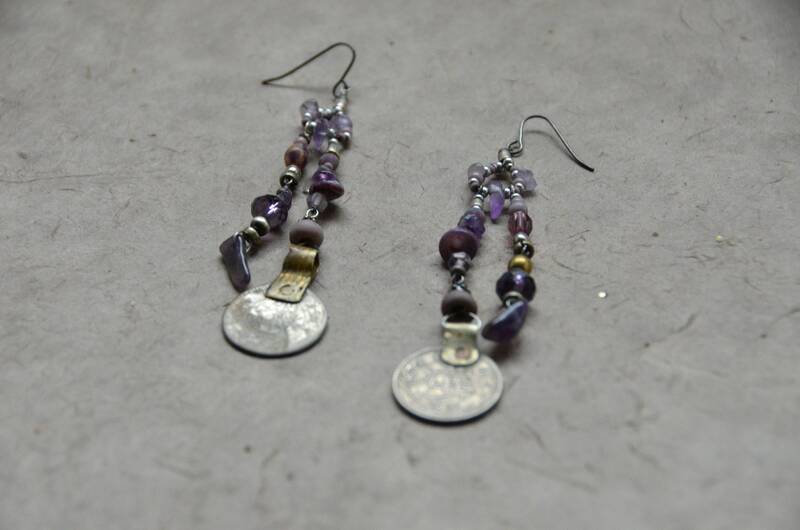 They are 4 inches long from the top of the French style surgical steel ear wire to the bottom.